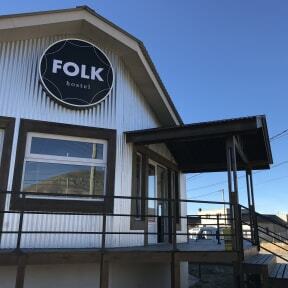 Folk Hostel i El Calafate, Argentina: Reservér nu! Nice open common area. 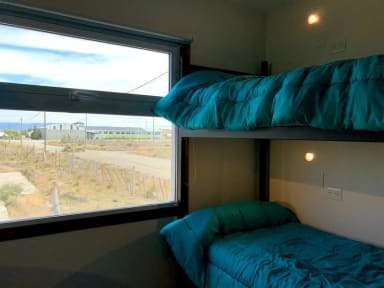 Good beds, with electrical sockets located at each bed. Large storagedrawers under the beds ( need your own lock), but they tend to make a lot of noice, when opened. Noice from travelers from 5 am. Good breakfast (bread, spreads, juice, cold cereal,oatmeal,fresh frugt, yoghurt, cake). DayStaff helpful, but clearly just doing their job, nightstaff seemed more friendly. Very close to the busterminal, and still in walking distance of mainstreet.